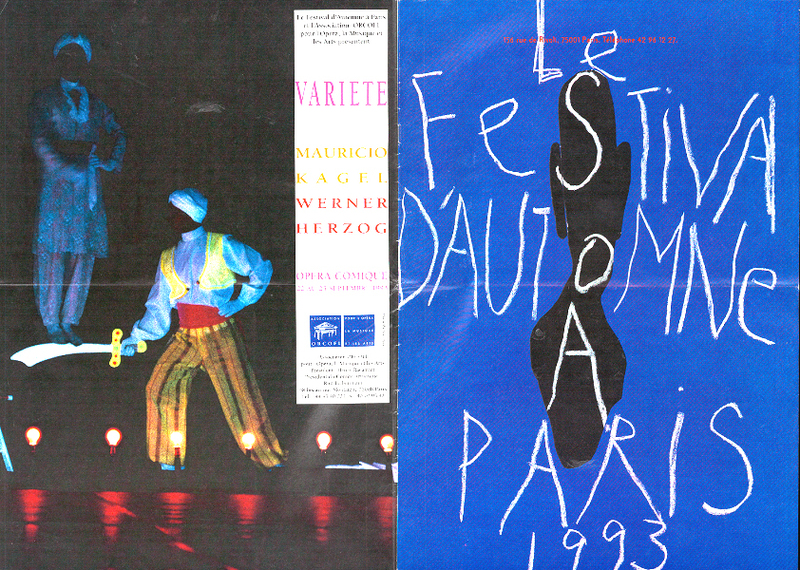 The show “VARIETY” from the composer Maurizio Kagel, directed by Werner Herzog, previously created in Berlin, is presented at the Opera Comique theater in Paris, France as part of the Fall Festival 1993 and at the Musica festival 1993 in Strasbourg, France. This conjunction of contemporary music and its audiences with variety artists, is a rare experience. Read more about this show : Berlin, January 1992, new production of “Variety”, at the Hebbel Theater.